I really enjoy event photography! Whether it’s a few friends gathering at home or a black tie ball, there is something rather special about recording the occasion and preserving the memories forever. This is the second year that I’ve photographed an event in Lancashire called “The Yabba Dabba Doo” charity party. This year, all the proceeds will be going to help the people of the Philippines who were affected by Typhoon Haiyan a year ago to the day. The host, Jan, had promised an even bigger firework display than we saw last year. He wasn’t joking – I doubt if anyone who was there on the night has ever seen anything like it. If you have the right kit anyone can take photos of fireworks – an iPhone isn’t an option unless you’re videoing the fireworks. A tripod is essential, ideally with a cable release to stop any vibration caused by pressing on the shutter button. With modern digital cameras you can experiment with the settings, depending upon what the ambient light is like. I find that an aperture of f8.0 works best with an exposure time of between 4 and 8 seconds. You will also need a camera that you can focus manually, as even the best autofocus systems tend to “hunt” in the darkness. I’ve found that focusing just a little short of infinity works best. And then just keep shooting. 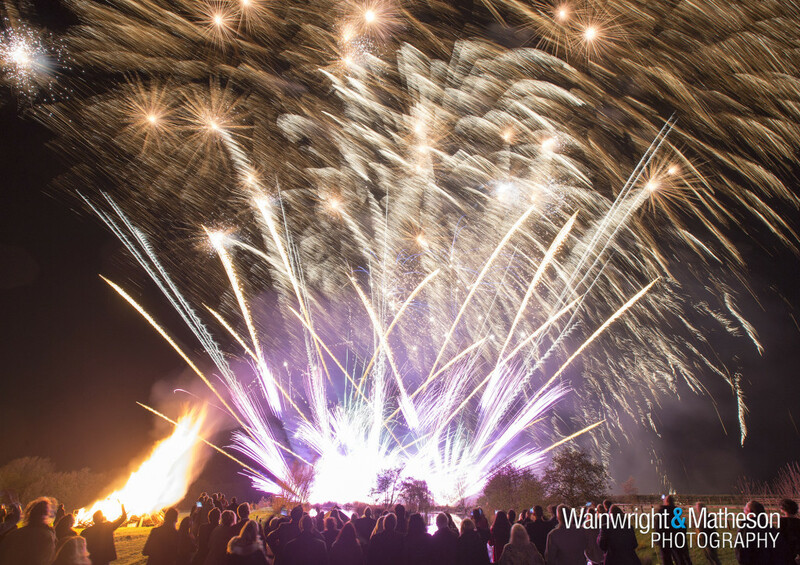 I always think that firework photography looks best when you can see people in the foreground – it gives a sense of scale and it’s great to hear the oohs and aahs as each new firework is launched into the sky. I’m looking forward to photographing next year’s Yabba Dabba Doo already! Photograph taken 8th November 2014 with a Canon Eos 1Dx and a 16mm – 35mm lens set to 16mm. Exposure 3 seconds at f 8.0. ISO 400. Thanks – my Twittter address is on the Contact page. are very quick for novices. Could you please lengthen them a little from subsequent time? but this webpage provides feature based content.